HomeMan UnitedWhich Summer Transfer Targets Make Sense For Manchester United? Rumours here, rumours there. So many players get linked with Manchester United before every transfer window. This time we are not talking about rumours, but about the players which would actually be very wise signings for the club. Here are our four picks. 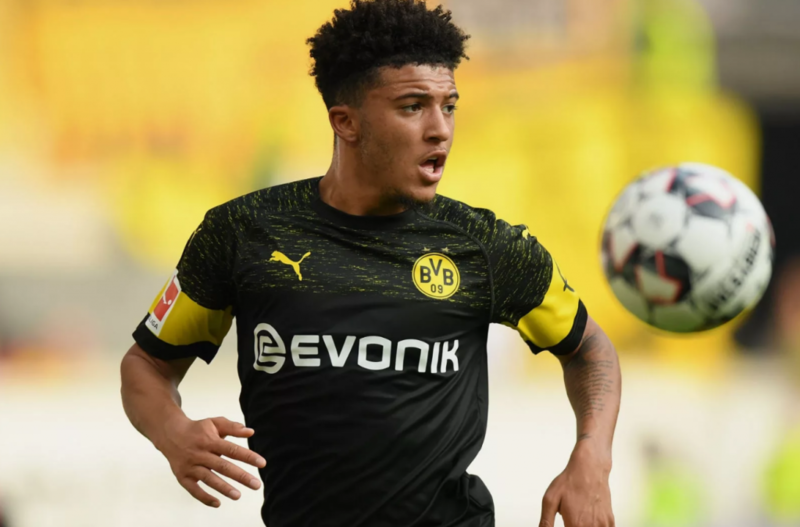 According to various media, including Independent, Manchester United’s top priority signing for the summer of 2019 is Jadon Sancho. If that is the case, who could blame the Devils? The English teenager is doing marvelous things for both Borussia Dortmund and England and snapping up a player who turns 19 this year makes a lot of sense. Even though Man United would have to pay a lot of money. Another 19-year old. Matthijs De Ligt played in Europa League final against Man United with incredible maturity, even though he was just 17 back then. Maybe that was supposed to be a good sign of what kind of player he will become and the Ajax captain is growing into an incredible footballer. Barcelona are top favourites to sign the Dutchman, but Man United should try and do their best to sign him. His teammate Dusan Tadic recently even said De Ligt is so good that he would sign him for any money if he was the owner of a rich club. Man United need centre-backs desperately and thus, this would be a great move for the club. Saul Niguez might not be the most obvious pick here, but he is the type of the player Man United could do with. He is a midfielder who has over 240 matches for Atletico Madrid and he is still just 24. He played in two Champions League finals, won Europa League and is a midfielder that is very important for Atletico Madrid. He is also Diego Simeone’s leader on the pitch, even though his age might say that does not make sense. The biggest problem would be paying huge sums of money to get a midfielder whose contract with Atleti runs through June 2026! When that is the case, the deal is that much trickier to make, but such personality would fit the stature of the club and the dressing room. We talked previously about Aaron Wan-Bissaka and as long as he is playing the way he is playing this season, we will continue doing that. Wan-Bissaka’s breakthrough season at Crystal Palace has made several Premier League clubs alerted, but arguably no team in the top six is in such need to sign a right-back. With Diogo Dalot, Wan-Bissaka could make a tandem at right-back for which the club would not have to worry about for a long time. Of all these players, this deal would be the easiest one to strike.